"I welcome BRITDOC's Ping Pong Care Campaign as a fresh, innovative and inspirational approach to active ageing, challenging the stereotypical view of later life. With the potential to increase mobility, improve mental health and crucially tackle social isolation, I am happy to endorse and lend my support to the campaign." The Ping Pong Care Campaign is born not just of audience reaction to the film. It follows input from key supporters AgeUK and Wellcome Trust, who saw the potential power of the film to engage the sector around the issues of ageing, and picks up from extensive medical and social research conducted on the impact of physical activity on the lives of older people across the world. Table Tennis: good for the mind! "The clear increase in motor skills and cognitive awareness from playing table tennis is significant, if not remarkable, in its unique benefit for brain disease patients." A key Japenese study that has inspired an element of our work on the campaign looks specifically at the effect playing table tennis has on people living with dementia. 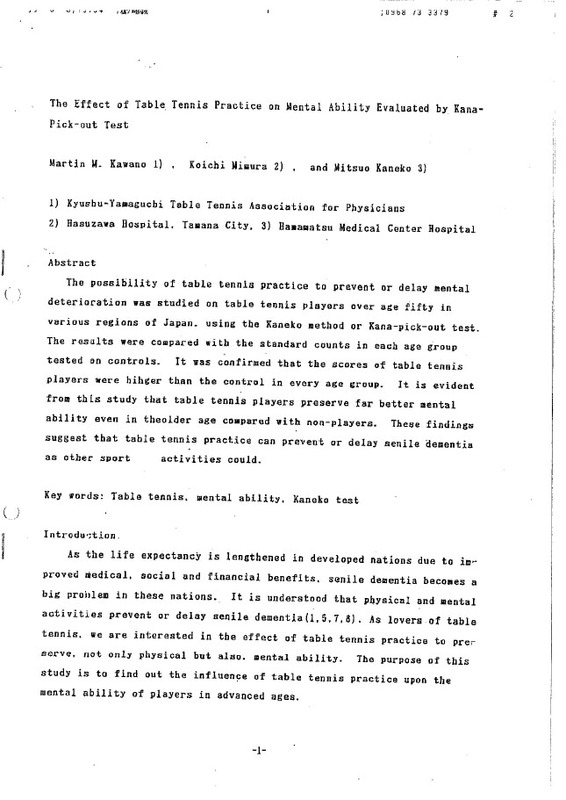 "It is evident from this study that table tennis players preserve far better mental ability even in the older age compared with non-players"
Go here to read this Japanese medical research and study called 'The Effect of Table Tennis Practice on Mental Ability' in full. "You see this film, and you're quite inspired by some of the characters there and some of the changes in their symptoms and the improvement. In the film, it's more anecdotal evidence, what we want to do now is test the science." Keeping fit is as good for older people as it is for anyone. But in particular, scientists have shown that exercise is very good at preventing dementia and helping with the symptoms of the disease. But is ping pong any better at this than other activities? Dr Matthew Kempton of the Institute of Psychiatry at King's College London wants to find out. He says ping pong has the potential to be helpful for older people with dementia in particular as it combines physical activity with spatial skills, cognition and keeping social. Working with Dr Kempton and King's College London, the Ping Pong Care Campaign aims to conduct it's own research looking at this exact thing. Read our research proposal, see our sources, and learn about our partners here. 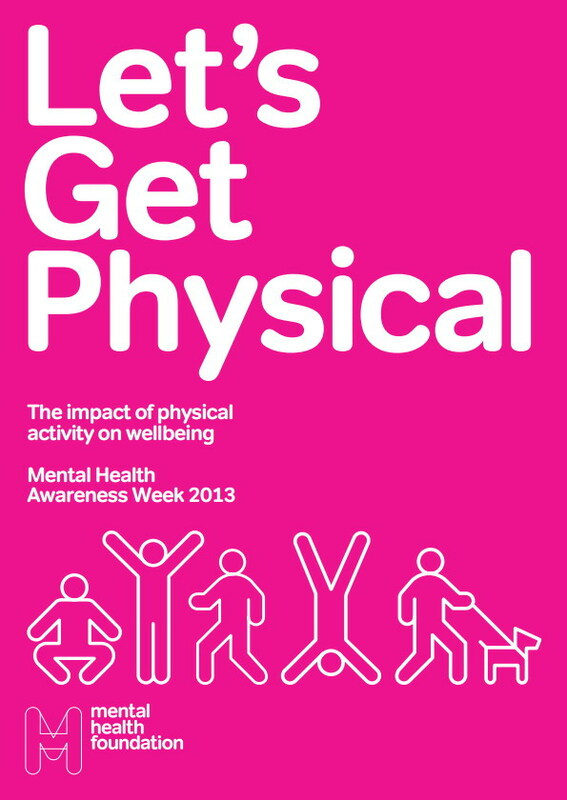 "Even small increases in physical activity could have important physical health benefits, as well as enhancing quality of life"
'Let's Get Physical' was the theme of 2013's Mental Health Awareness Week. As part of the week, the Mental Health Foundation released this report which looks at the positive impact physical activity can have on well-being and mental health. 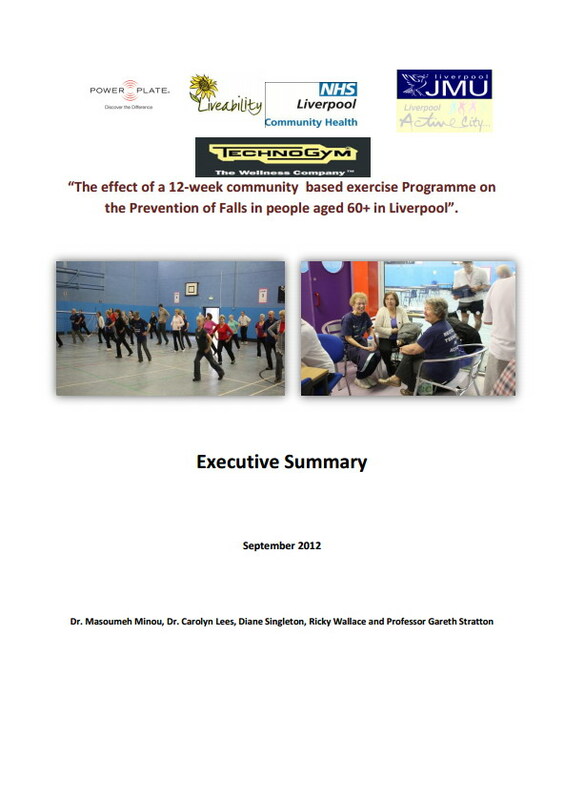 "The programme demonstrated that support from healthcare professionals and peers are essential to promoting and maintaining engagement with any falls prevention interventions"
In 2012, Liverpool Community Health's multi award winning nurse led Liveability programme, who specialise in promoting the health and independence of older people, delivered this report showing the impact of community based activity programmes on falls prevention. 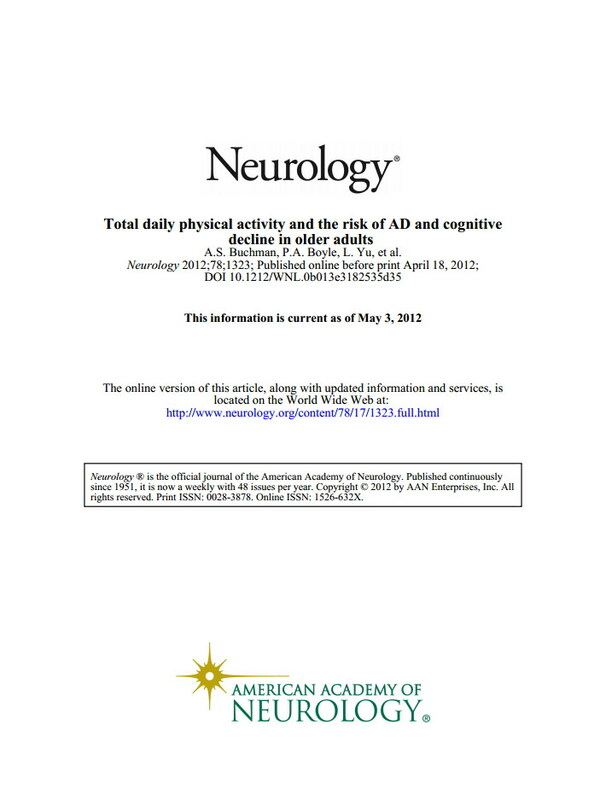 "...total daily physical activity is associated with cognition. [This] is particularly important for very old adults, since it suggests that the cognitive benefits which accrue from physical activity may not be limited to exercise"
This study by the Rush University Medical Centre and published in the journal Neurology in 2012 had some concrete findings linking physical activity to improved cerebral function. You can read the editorial notes here.